Are we living in a new Cold War era? What are the limits and what can we hope from the future? An in-depth analysis by Ella Catherall explains the renewal of a rather tense US-Russian relation under the Trump administration as the Russian Presidential elections are just around the corner. 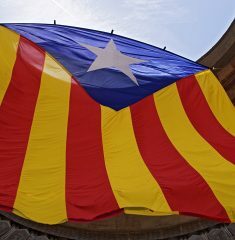 Ella Catherall explores the history behind the news, highlighting how Catalonia’s current fight for independence is simply a new battle in a long war.